If you hold events of up to 4,000 delegates and are looking to experience a new International Convention Centre in a unique country, come and chat to the New Zealand International Convention Centre (NZICC) team at IMEX. 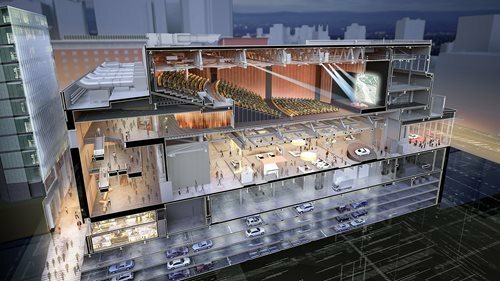 Due to open in 2020 the NZICC is a flexible and innovative new centre in the heart of Auckland’s central business district. It’s a building that has been designed collaboratively by architects, event industry experts and our future clients, creating what we believe will be a refreshingly simple, dynamic and modern experience. The most unique aspect of the NZICC, apart from being in the heart of a humming city in a vibrant country, is the level of configurability you will experience across our theatre, halls and meeting spaces - easily accommodating events from 2 people to 4,000. The flexibility of our new Centre is paired with a team focussed on making your event exceed your expectations. Callum Mallet - General Manager Operations and Prue Rogers - Director of Sales will be attending IMEX Frankfurt on the 16th – 18th May, and would love to discuss any of your event requirements, how with our partners Tourism New Zealand and Auckland Convention Bureau we can support bids and show you how your event can come to life in our new centre. With new flight paths and increased accessibility bringing your next conference to Auckland, New Zealand is easier than ever. If you are a hosted buyer you can find us by our company profile (New Zealand International Convention Centre) and request a time with us. If you are intending on registering for IMEX Frankfurt but don’t have an appointment stream feel free to email us directly to make a time (see details below) or come and talk to the team in the 100% Pure New Zealand Stand, in C300, we would be delighted to talk with you.